I recently met with Samir Kuckreja, the current President of the National Restaurant Association of India (NRAI - www.nrai.org). Samir is also the MD & CEO of Nirula's (www.nirulas.com) - India's own McDonald's. 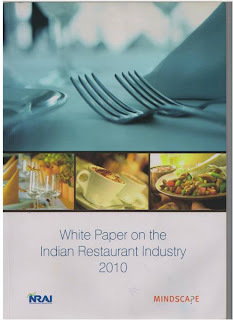 He shared several industry insights and also gave me a copy of the white paper that NRAI released in 2010 on the Indian Restaurant Industry - probably the first formal documented research of this scale in India. This is really an excellent & comprehensive market research report - calling it a white paper does not do justice to the content available in the report. 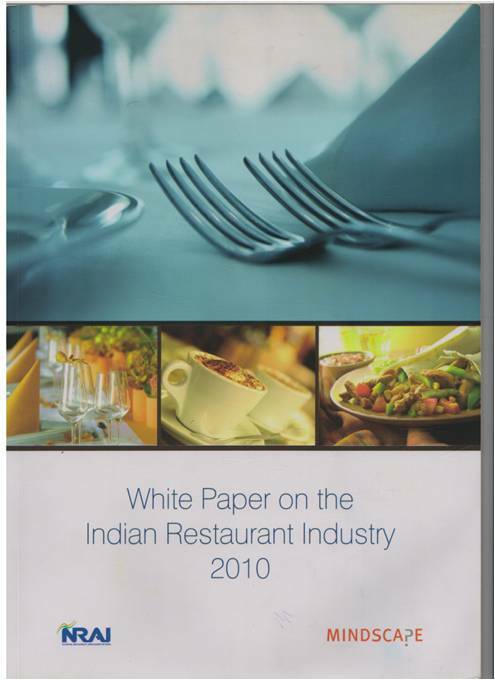 I will share key highlights of the white paper in a few future posts - want to get a formal approval from NRAI before doing so. Hi Jayanth, Im interested in buying this report, where can i do that? Kindly see the updated post above. Details for purchasing the report directly from NRAI are provided. I was just looking up for this information to get a while. Approximately two hrs of online researching, luckily I received it in your website.I look more updates from your site.Thanks for sharing. Lovely post great content and showing delicious food. CIITN is the best SAP training and placement Institute in noida. Contestant will analyze in keeping with modern-day enterprise trends by way of certified and industry experts & SAP training Institute in Noida. They provide a 100% placement help with the best training of IT cousrses. If you are looking best sap training in Noida then you can join CIITN. One of the premier training and development institute for SAP Training Program in Noida. The company provides 6 weeks/ 6 Months Training for SAP. They provide training in all SAP Modules like SAP HANA,SAP B1, SAP FICO etc. Just come for free demo class and then join SAP and move up in your career . We give all sort of Restaurant supplies. We supply a thorough cluster of Hospitality products suppliers that are fabricated by a specialist group of expert team. Your research on Indian restaurant industry sounds awesome. Keep sharing such post with us.